As the selected battles of the Russo-Swedish War were reconstructed on custom boards, it was only natural to also have some local landmark standing on the board – even if it wasn’t actually involved in the battle. Churches are often good such landmarks, them being unique and big. 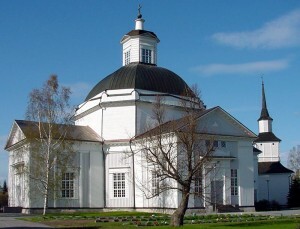 Therefore for the Battle of Lapua, the church of Lapua was to be constructed. 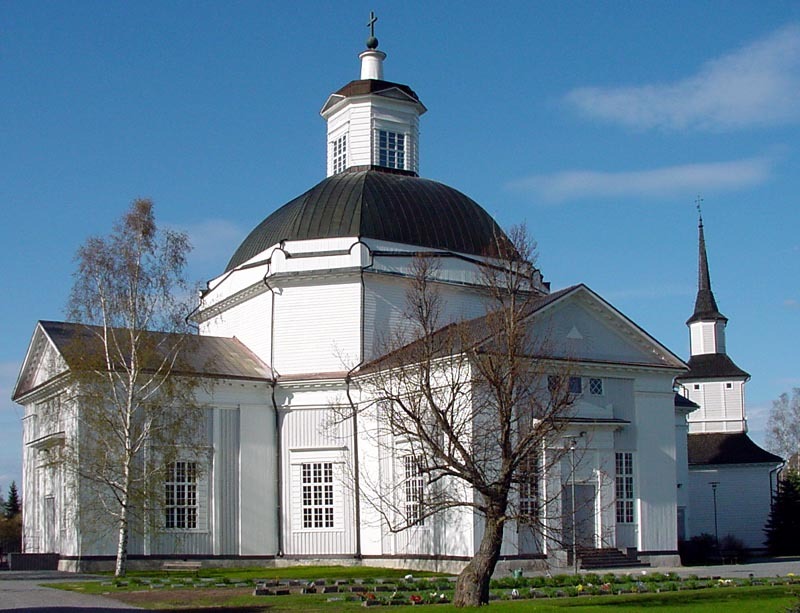 The current church of Lapua is the 3rd church on the same spot and it was built in 1827, i.e. almost two decades after the Battle of Lapua. 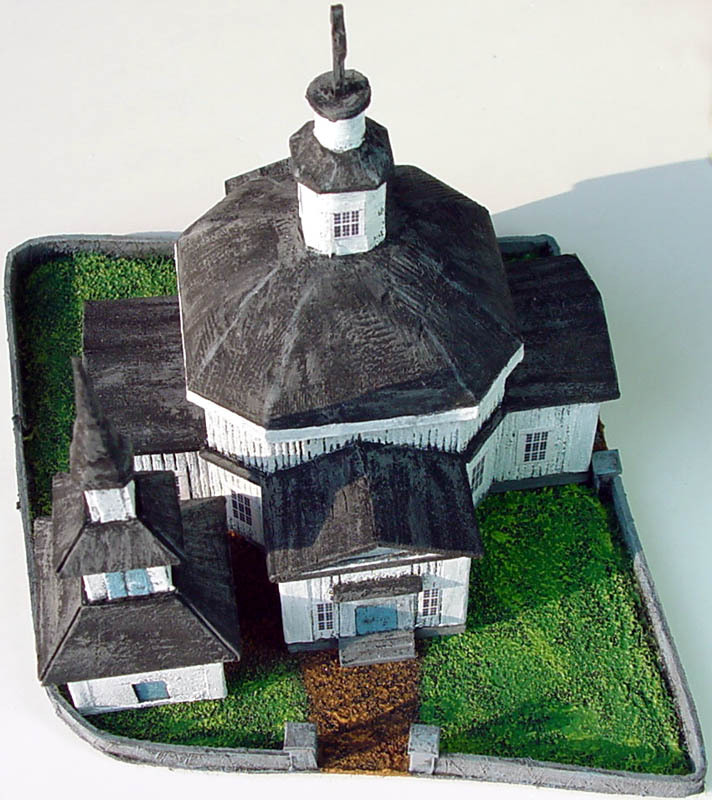 As only a crude drawing of the 2nd church was found, it was decided that we would field a model of the newer church. The bell tower, however, was built already in 1730, so at least that is accurate. Church of Lapua and the bell tower in Spring 2005. As a type the church is an octagonal cross-church. 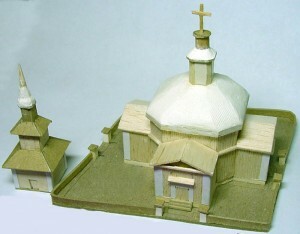 Due to its shape, the church wasn’t the easiest model to put together. I proceeded from ground up, first cutting the basic shape from 3mm card and then gluing balsa and thin card as walls and roof. To ensure that parts fit, it’s best to cut them to size only when they are needed. Trying to cut all beforehand will result in lots of gaps & grief. In the above picture the roof has been roughly shaped for the next phase. The roof is curved so it cannot be made from balsa or card. I used paper mache based sculpture paste and filed it to final shape when it was dry. 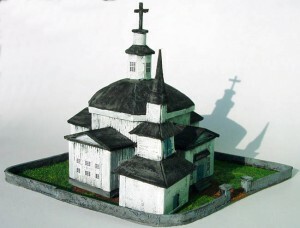 The cross at the top is detachable for storage and transportation. 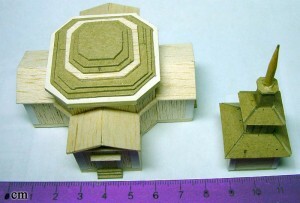 The base is made simply out of card. It’s a tight fit as the church and bell tower are in different scale compared to the base. 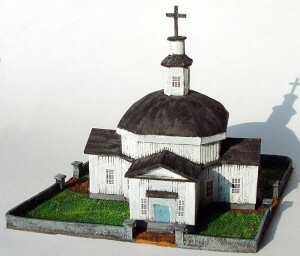 The base fits its spot on the game table, but the church and bell tower were just made to be in proportion to the other buildings on the table. 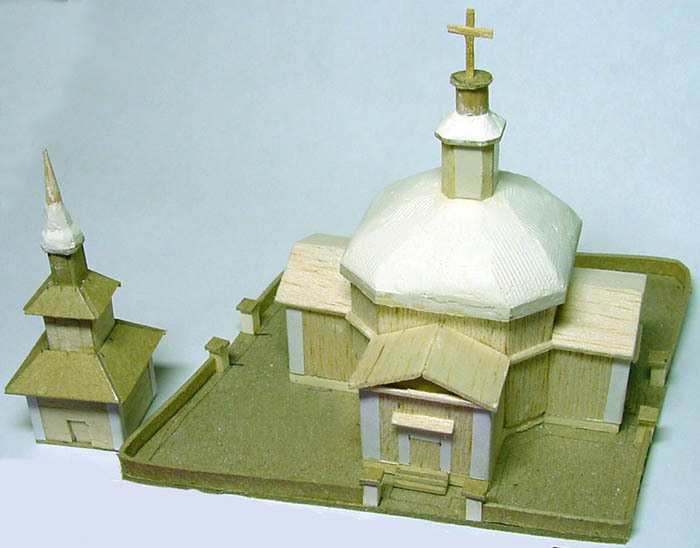 Notice that there are no windows at this phase, only the wood paneling has been textured to the balsa with a toothpick and corners have been modelled with paper. The whole model and base were primed black. Walls were dry-brushed first with medium gray and finally with white. The windows are prints of the actual church’s picture. Doing it this way was easy and the paper defines the window frame at the same time. Some fine sand was glued to the base and dry-brushed with greens and browns. Final aerial picture. 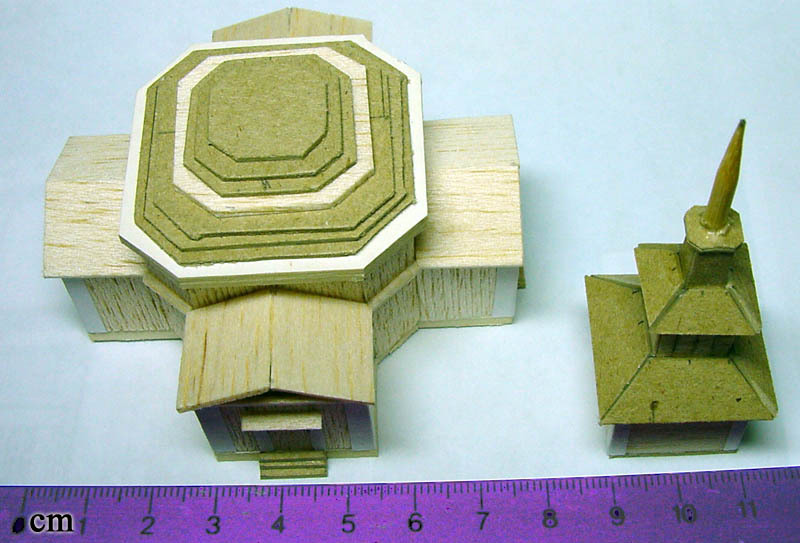 As said; tight fit, but it works on the table and the buildings can be used in other games.